The recent letter writing contest on “Why I want to see Rudolph Valentino” has met some unusual responses and printed here are two prize winning letters that will receive cash awards if the parties please call the Capitol Theater Office. First Prize – “I want to see Rudolph Valentino because when I was a small girl, in boarding school, my mother came after me for a holiday weekend. We ate in cafes, shopped and went to see Rudolph Valentino in Son of the Sheik at the Queen Theater, Houston, Texas. My mother’s birthday is 31 Jul and I want to give her a holiday and myself a memory trip by taking her to see the movie idol of her time again at the Capitol Theater 31 Jul”. Signed: Mrs. L.E.J East 10th Street. Second Prize – Mr. Rudolph Valentino fourteen years ago when I saw you in Son of the Sheik played at the Woodlawn Theater, Chicago, Illinois. I went because friends and salespeople exclaimed of my resemblance to you. I could double as your sister. I wonder if you were here today, would your mirror reflect the same changes as mine does? Although I have run true to form, by being “fair, fat, and fortish” the similarity in features remain. My reason for seeing Son of the Sheik now is for the memories brought back from that time, are nice to remember as the picture again unfolds before me. Your most ardent admirer: Mrs. D.R. NW 3rd. 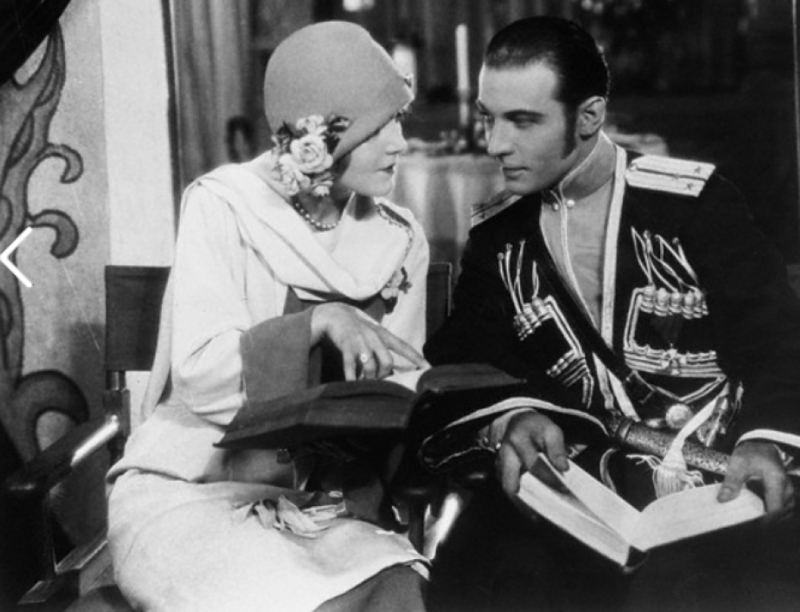 Everyone is invited to send in their letters this week before the picture comes to Amarillo on “Why I want to see Rudolph Valentino”. You may win a cash prize and a guest ticket to see Son of the Sheik.